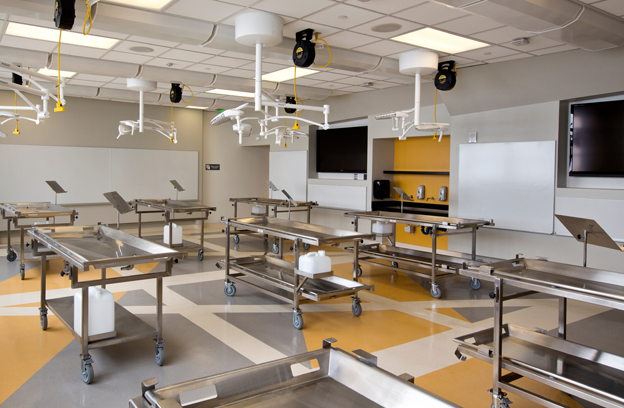 The design-build modernization of this 13th floor anatomy lab within the UCSF Medical Science Building included replacing the existing ventilation system serving the 13th-floor west wing and classrooms. This upgrade improved ventilation providing a healthier and safer work environment and reducing exposure to chemicals. A cooling system was tied in with the direct ventilation at dissection tables. Cammisa + Wipf also upgraded the electrical systems, added surgical lights at each table, and created the bridging documents. 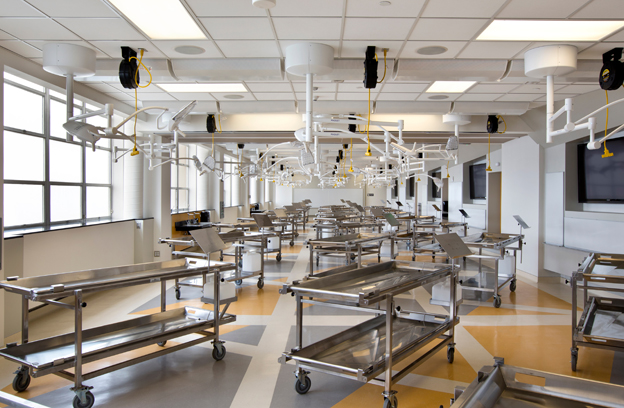 The 6,000-square-foot space enables 150 medical, physical therapy and pharmacy students, working with up to 30 cadavers, the opportunity to learn anatomy through dissection, aided by expert faculty and practicing physicians demonstrating clinical procedures. With the aid of six 72-inch, high-definition video displays lining the walls and wirelessly connected to mobile cameras and iPads, students are able to interact with the learning material and observe fellow classmates’ discoveries without leaving their workstation.